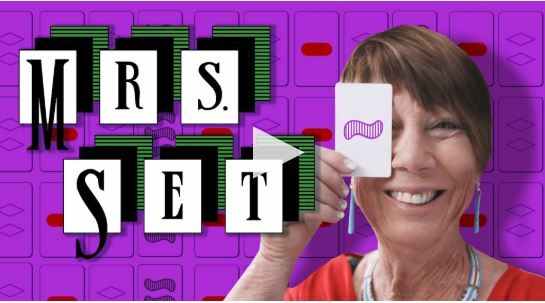 Set Enterprises, Inc. is an all women-owned and operated business with a global presence; its games are sold all across America and in over 40 countries around the world. Set Enterprises, located in Fountain Hills, Arizona, is a leading developer of award-winning family and educational games with 15 games currently on the market: SET, SET Junior, SET Dice, Quiddler, Quiddler Deluxe, Quiddler Junior, Five Crowns, Five Crowns Junior, Xactika, Karma, Mini Rounds, and the newest game, WordSpiel. By popular demand, Set Enterprises also recently launched the second edition of The Quiddler SHORT Word Dictionary. Games from Set Enterprises have received numerous awards from such organizations as MENSA, Games Magazine, Parents Magazine, Dr. Toy, Parents’ Choice, Teachers’ Choice and ASTRA. Set Enterprises was founded by Marsha and Robert Falco in 1990 and is now owned and operated by their daughter, Colette Falco. The company’s first game, SET, was developed by Marsha in 1974 while she was doing genetic research in Cambridge, England. Marsha was a Population Geneticist who was trying to understand whether epilepsy in German Shepherds is inherited. To study the genes and chromosomes in the dogs’ cells, Marsha created file cards with blocks of information for each dog. Because certain blocks of information were the same on each file card, she drew symbols to represent blocks of data, rather than writing out the data. She used symbols with different features (i.e., color, shading and number) to represent different gene combinations. While explaining the combinations on the cards to the veterinarians she was working with, Marsha decided that there could be some fun in the cards, and SET was born. Marsha spent years playing the game with family and friends before founding Set Enterprises and making SET available to the general public. While many game companies produce 20 to 30 games each year, Set Enterprises only introduces one game every 2-3 years after extensive testing and market research. The goal of Set Enterprises is to create games of fun, perception and challenge for players of all ages and skill levels while offering unlimited replay value.